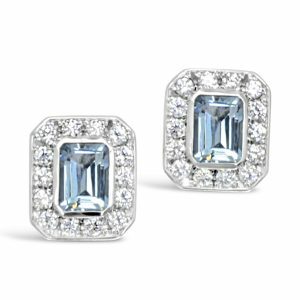 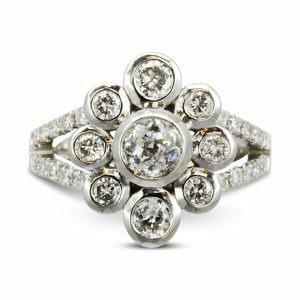 Incorporating many small diamonds “clustered” around a special central diamond or gemstone, these fabulous cluster rings are a real statement. 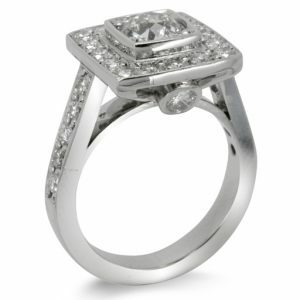 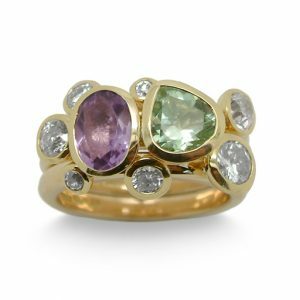 The supporting structure to the top of the ring is traditionally an opportunity for a jewellery maker to display their skill even though the sides of the ring are usually only viewed by the wearer. 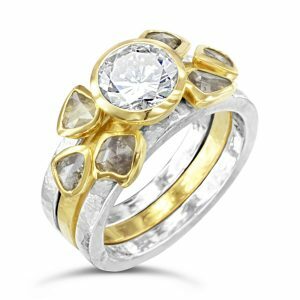 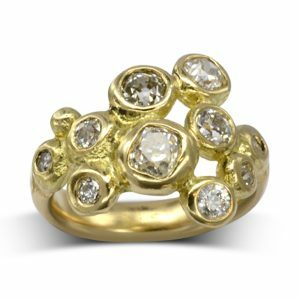 We love this unusual look but if you need the cluster ring to sit next to a wedding ring as an engagement ring or want a less bulky ring we suggest omitting this structure. 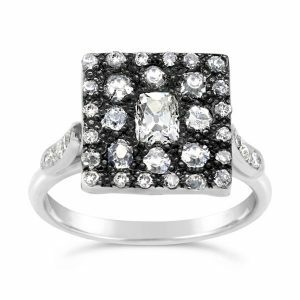 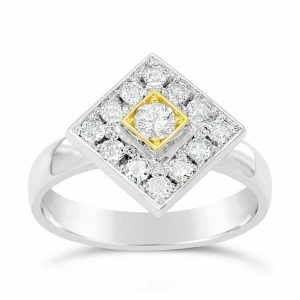 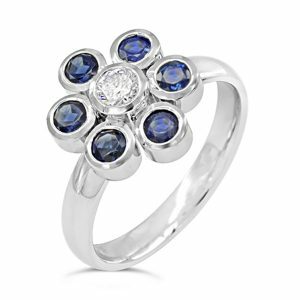 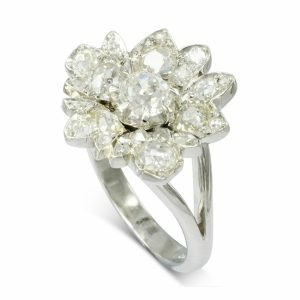 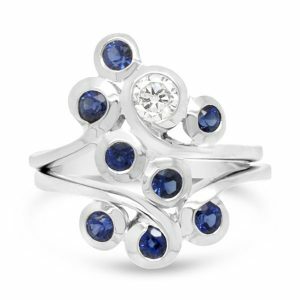 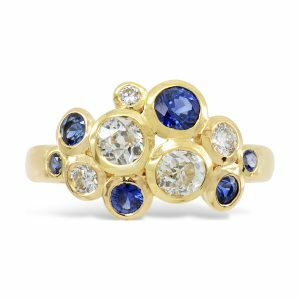 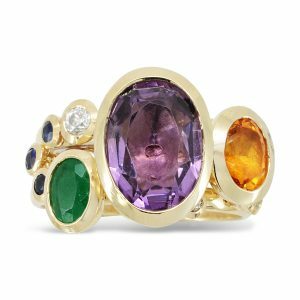 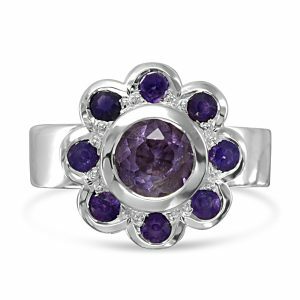 Our new Domed Scatter ring is a really fun contemporary take on the cluster ring that does not require a centre stone. 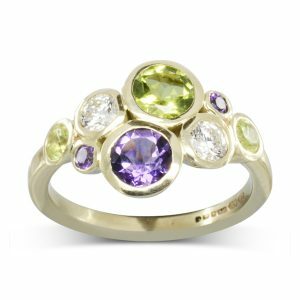 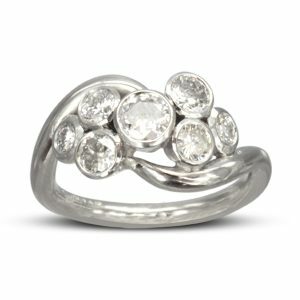 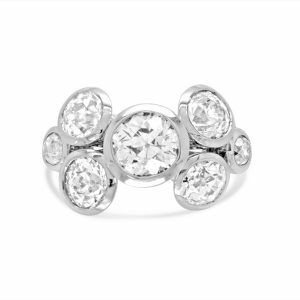 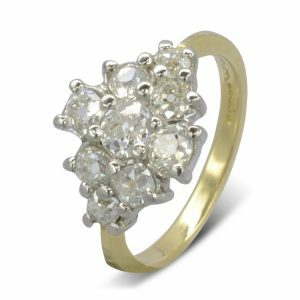 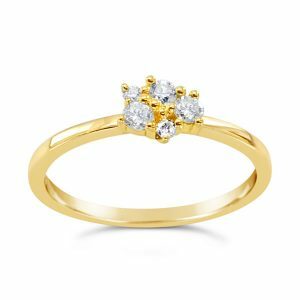 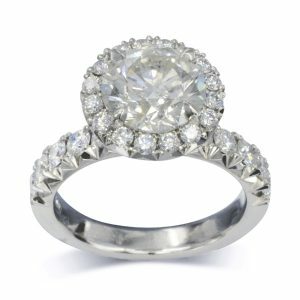 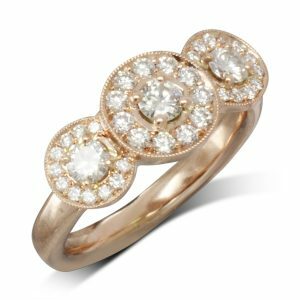 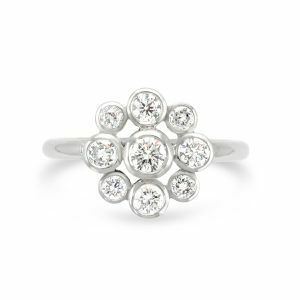 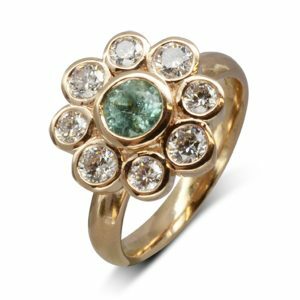 A cluster ring can also be a great way of reusing an inherited engagement ring or dress ring to provide the centre stone combined with an eternity ring to provide the stones for the surround. 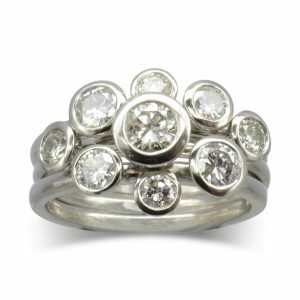 Call in to our Ditchling workshops in Sussex and commission one today!